Adobe has announced the latest 'release candidates' of Adobe Camera Raw and Photoshop Lightroom, adding support for ten cameras - including preliminary support for the Canon EOS 70D and Sony RX100 II. The release candidates of Adobe Camera Raw v8.2 and Lightroom 5.2 also fix some bugs introduced in the previous versions. ACR v8.2 acts only as a camera and lens profile update for users of Photoshop CS6. Both are available to download from the Adobe Labs site, with the usual reliability caveats about release candidates. A release candidate of DNG converter 8.2 is also available. Request for Comment: How to create a good quality photographic workflow that: ( has no monthly payments ( Adobe Cloud ) | is archival | fast to use | the best workflow for your requirements | Can include Photoshop CS perpetual License for years to come even if new RAW formats come out ). Following the recent public release of Adobe Camera Raw 7.4, we've updated our studio comparison database with new raw conversions of files from the Fujifilm X-Pro 1, X-E1 and X100S. We've been using the release candidate version of ACR 7.4 for some time, which contained significant improvements to Adobe's treatment of files from Fujifilm's X-Trans sensors. The official public release version of ACR 7.4 brings some further (very minor) tweaks. Click through for links to the studio comparison pages in our X-Pro 1 and X-E1 reviews, and X100S preview, now with ACR 7.4 raw conversions. Visual Supply Company has released the VSCO Film 03 camera profiles and film emulation preset pack for Adobe Lightroom 4 and Camera Raw 7. The software comes with customized camera profiles for Fujifilm, Canon and Nikon image files and allows native non-destructive editing of desired film effects within Lightroom and ACR. The latest version includes a toolkit to achieve an 'authentic instant ﬁlm' look. Version 03 is currently available for immediate download at a retail price of $119 (~ £75/ €90) from the company's website. Adobe has issued a 'release candidate' version of Lightroom 4.3 and Adobe Camera Raw 7.3, including support for 13 additional cameras. The Mac version of Lightroom features a Develop module that supports Apple's HiDPI mode that makes the interface easier to read on the 'Retina' panels used on recent Macs. The latest versions are available for download from the Adobe Labs website and, as the 'release candidate' tag denotes, are well tested but could benefit from some user feedback before finalized. Adobe has announced 'release candidate' versions of Lightroom 4.2 and Adobe Camera Raw 7.2. The latest near-complete versions add support for a series of hotly-anticipated cameras, including the Sony DSC-RX100 and Canon EOS 650D / Rebel T4i. The Lightroom update also corrects a series of bugs present in the current version of the software. As usual, release candidates are considered well tested but not final. Camera Raw 7.2 also adds the option to change the 'as-shot' image crop, if the camera has recorded the whole sensor's data. Adobe has launched final versions of Photoshop Lightroom v4.1 and Adobe Camera Raw v7.1 that include support for the Fujifilm X-Pro1. Both versions include the advanced defringing tools introduced in the Release Candidate versions they replace as well as promising to address 'performance issues.' 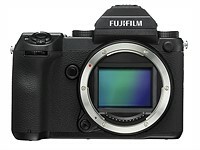 Both versions include support for the Fujifilm X-Pro1 non-Bayer color filter array. They can be downloaded from the Adobe website now. Adobe Camera Raw 7.1 works with Photoshop CS6. Adobe has announced a release candidate version of Adobe Camera Raw 7.1 and DNG Converter 7.1. The latest near-release version of the Raw processing plugin only works with Photoshop CS6 and brings support for the same 21 cameras that were added to Camera Raw 6.7 in the most recent update. This includes the Nikon D800m Canon EOS 5D Mark III, Olympus OM-D E-M5 and the most recent releases from Samsung. 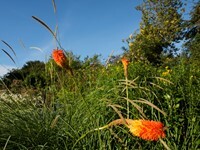 Alongside Lightroom 4, Adobe has release the latest release candidate of Adobe Camera Raw. This not-quite finalized version of ACR v6.7 brings all the cameras and lenses supported in Lightroom 4 to users of Photoshop CS5, plus the Canon EOS 5D Mark III as something of a bonus feature. As usual, it is being released on Adobe's Labs site to allow feedback before its final launch.